With more than forty years experience manufacturing and supplying the Defence, Water and Wastewater and Rail sectors, RPC’s Seven Hills (NSW) facility can also provide additional manufacturing and engineering capability for all custom and complex metal fabrication requirements for any industry, nationally and internationally. 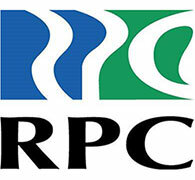 RPC can assist with one-off projects, repeat projects, or Through Life Support. No job is too big or too small. Our dedicated specialty fabrication team can provide clients with a complete turnkey service. RPC can supply completed assemblies utilising special alloys, and all grades of aluminium and stainless steel including SAF 2205 & 2507; Aluminium in 5000, 6000 & 7000 Series; mild and high-strength steels; low alloy & Bisalloy steels, and passivation after fabrication. RPC’s Industrial and Painting facility can provide blasting using grit or garnet subject to job size and painting of steelwork with basic paints through to Polyurethane and non-skid surfaces. RPC has a proud history of providing Through Life Support to the manufacturing sector across a range of industries and sectors. We support our clients with quality workmanship, deep experience and exceptional service.